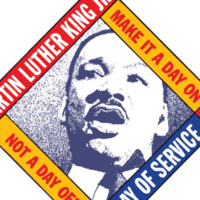 MLK Day of Service is one of the largest national days of service. Consider participating in the UO's service event! The service project will run from 10AM to 1PM, will include t-shirts, snacks, and an opportunity for students to express their support for the works of Martin Luther King Jr. Day. The projects include landscaping, organizing, and painting!